DJ Tao Yoshi started his metamorphosis from Human to DJ in 1979, following the jet stream of unique rare northern Italian fantastic clubs that played electro, funky, disco dance with a special deep atmosphere that served musical cocktails, modified by equalizers, drum machines and live percussion. Tao started to give friends enjoyment and emotions with dance music in private garages and basements. Then went on to organise school parties and then became one of the first organisers of Italian AFRORADUNI in his hometown BOLZANO (South Tyrol) because no clubs or disco party culture existed there at that time. From here he then started to expand in northern Italy, Austria and Germany. 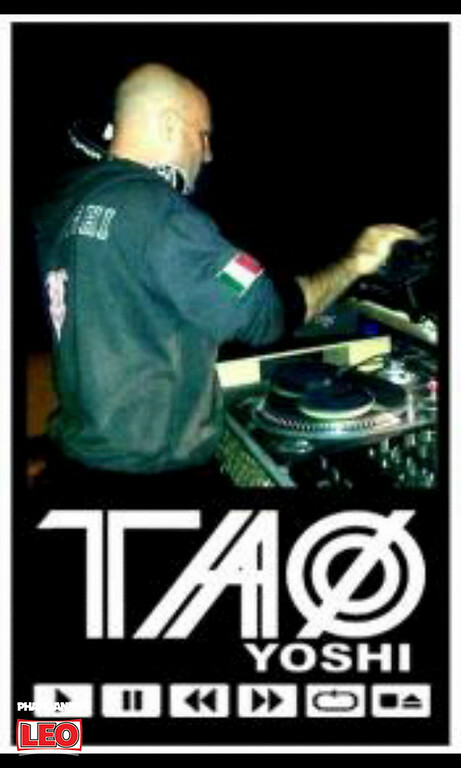 In 1989 TAO did travel to the U.S.A.
to dive into the just starting House Music Scene. He went to play in New York, Boston, Philadelphia and Bermuda island. After a new experience, touring in Miami and then Jamaica, with DJ NESH, he came back to Italy and decided to create the first local Sound System in his region, YAHMAN (TAO-NESH-PAN) Sound System, and started playing with a new reggae style, No more peace and love songs , but original Jamaican Dance Hall. When he was at the top of the House Scene, he decided to experiment with new sounds, not scared to loose his previous connections, he opened the first underground techno club in 1994, CYBER GARAGE (Brescia) with dj Leo Mas and Pippo dj and the fans actually followed him. The Cyber Garage experience (and later the Cyber Zone in Verona) was actually the place of the new trend for music, and, indeed, many clubs did follow its steps more than 10 years later with the techno minimal movement. Afterwards he played at the Street Parade in Zurich, Bologna, Reggio Emilia and South Tyrol. Then, he finally played at The Love Parade in Berlin, in front of 2 millions ravers. After this ‘commercial/legal’ parade experience, Tao found he really did prefer the Free Party Rave World, working with the most important Tekno tribes (Spiral Tribe , Mononom, Desert Storm, OQP, Mutoid Waste & Co !…) with his Sound System and learning so much from them. Tao never stopped to modify and experiment with different sounds, rhythms and beats to produce rare and non commercial tracks and discover new musical frontiers. Amazed by the energy and spirit of the Psy Trance scene which was emerging at that time, he easily dived into it, organising more and more successful free parties using the ‘extended’ name of TAO YOSHI. 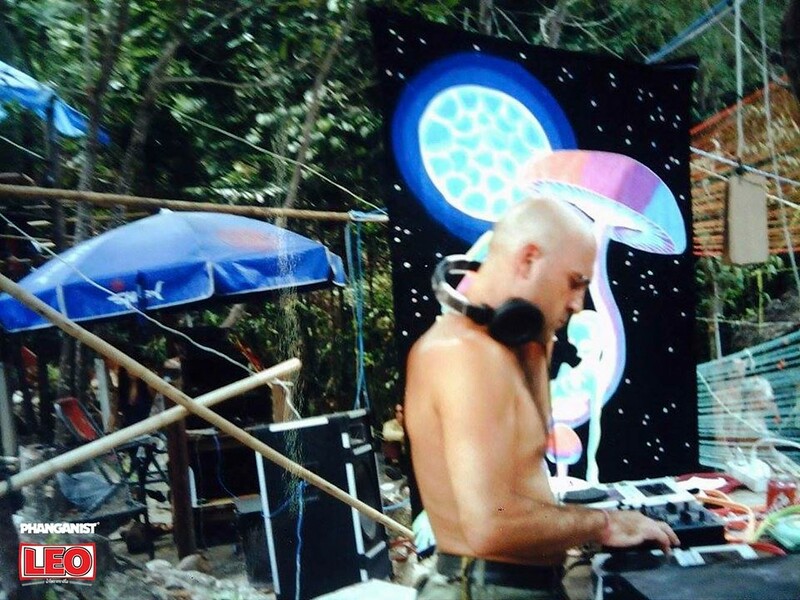 In 2001, as the pure party spirit did not exist any more in Italy, he moved to Asia and discovered Koh Phangan which was Paradise for Psychedelic Trance ravers at that time, and the new alternative to the ever-growing Goa. He stayed here for a few years, to start the new millennium, as resident dj at Paradise Waterfall Party in the Jungle, and the famous Vinyl Club on Haad Rin Full Moon beach and also played at one of the first Jungle Experience’s and Black Moon Culture. While the 2010’s saw him become resident dj for several clubs on Haad Rin East Beach for the Full Moon Parties (Boom Bar, Jamaica Bar), he was also resident dj at other clubs on week days (B&M Club, Amnesia Phangan, Mountain life, A Place In Space, Freeway, etc) for the pleasure of party-goers! 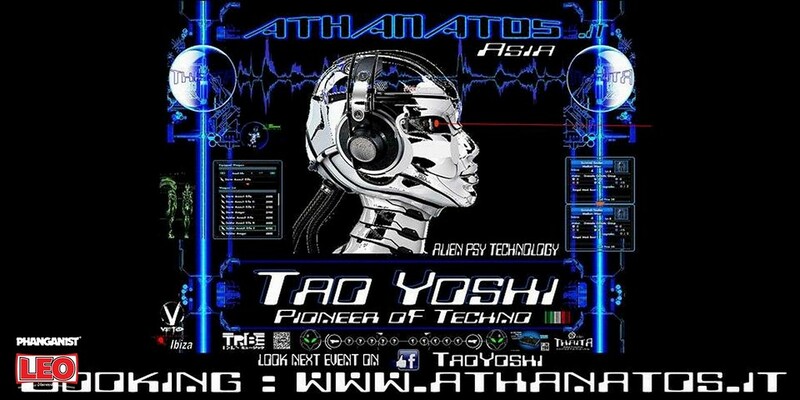 While dJing mostly in Asia, Tao still goes back to Italy for big events such as the Sonica Dance Festival in 2015, with Alien Psy Technology (Dj Tao Yoshi + Enrico Sartini + Filippo Ranzani) on the Solaris Stage for a great and memorable set ! After few more big parties in Italy, TAO finally put on his traveller’s backpack and headed to Thailand again for a new adventure! Now he is promoting and organising Parties in Thailand, in Koh Samui and Koh Phangan through THAITA, his Event Organization and Promotion Company. TAO is still very involved in the Party scene, organising parties, promoting them and mixing here and there on the islands. Tao Yoshi has a wide music selection and does not play for money but for enjoyment and this is what makes him unique. 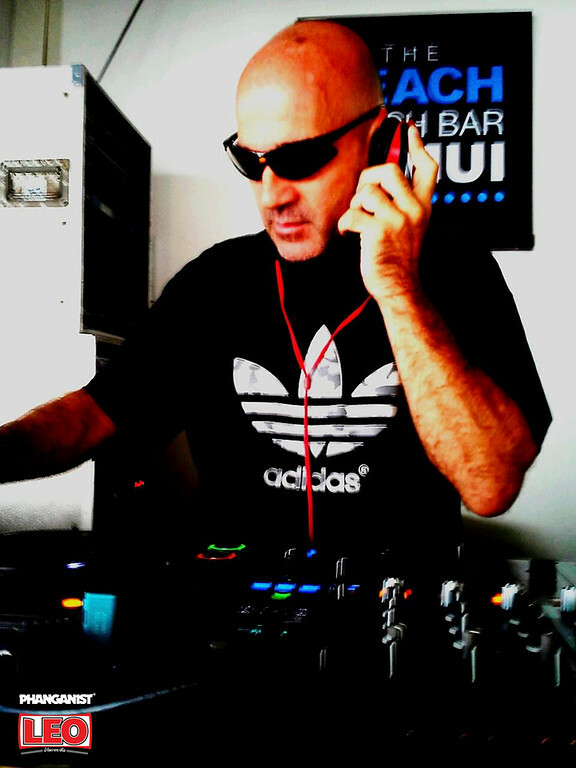 His music is a cocktail of funky afro grooves in techno or deep tech and his favourite party here in 2018 is Blackmoon experience.